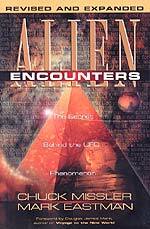 "INDEPENDENCE DAY", ALIENS, UFO'S -- THE TRUTH IS MUCH STRANGER THAN FICTION - Christian Updates - New World Order. NEWS BRIEF 2: "State of 'Independence': Record Pace", by Steve Jones, USA TODAY, July 5-7, 1996, Page 2A. "'Independence Day' is causing pandemonium at movie theaters -- both on screen and off. The alien-invasion thriller, which stars Will Smith and Jeff Goldblum, is on its way to the biggest opening weekend ever, having taken in $28.2 million through Wednesday. ... The film was already packing theaters at all hours of the night.... If it maintains its current pace, 'Independence Day' ... could top $70 million through Sunday. That would smash the five-day opeing weekend record of $52.3 million set by 'Terminator 2' on a similar July 4 weekend in 1991. 'It'll be the biggest opening ever', says John Krier of Exhibitor Relations ..."
"... and will be attended with great power and with all sorts of pretended miracles and signs and delusive marvels.. all of them lying wonders -- And by unlimited seduction to evil and with all wicked deception for those who are perishing because they did not welcome the Truth, but refused to love it that they might be saved." The only people who will be deceived will be the unsaved; this truth ties in perfectly with Jesus' assertion in Matthew 24:24, where He says that the Elect, God's chosen people, would not be deceived. This deception of the unsaved takes on tremendous significance because of the next verse, "Therefore, God sends upon them a misleading influence, a working of error and a strong delusion to make them believe what is false". This very frightening verse reveals that God Himself gets involved at this point, deliberately hardening the hearts and minds of those people who have rejected the Truth of the Gospel. If this is your situation, you must resist the Salvation call of the Holy Spirit no longer. Turn now to Jesus Christ, while this world is still in the Age of Grace, before God sends this tremendously powerful delusion upon the unbelieving world. * 1 John 4:1, "Beloved, believe not every spirit, but try the spirits whether they are of God: because many false prophets are gone out into the world. Hereby know ye the Spirit of God: Every spirit that confesseth that Jesus Christ is come in the flesh is of God." This statement, in Verse 2, states in the positive, that "every spirit that confesseth that Jesus Christ is come in the flesh..", but it also carries the negative connotation as well. We can also accurately state that such spirits "seek to sever Him" from being God. This is precisely what the False Cults, especially the New Age Religion, is attempting to do. The process by which their human consciousness was raised was the precise manner in which demonic forces work. It is thought transplant." (p. 78-79). At this point, I want you to be aware of the dangers of hypnosis, and how New Age hypnotists are using it. When a person undergoes hypnosis, they are surrendering their consciousness to the hypnotists. They can be programmed in any number of ways, especially to the point where they will respond to certain actions, in response to specific commands. People who report being contacted by aliens are being asked to undergo hypnosis so that they can "regress" back to the scene and "recall" their experiences with the Aliens, memories which have supposedly been repressed by their conscious mind. However, this is not what is really happening. What is really happening is that the hypnotist is implanting scenes in the minds of the person who has been contacted. This person then "remembers" what they have been programmed, and the "memory" seems so real to the contactee they really believe the lie. In this way, they then become very effective witnesses that can and do convince other people. Stay away from hypnosis, even for medical procedures. Doctrines on the existence of superior races, of people with chosen missions, references to Atlantis and ancient astronauts..." (p.57, 103). Notice this binds UFO's with Nazism. Remember, the New World Order is Nazism re-born. All these practices are classic occultism! 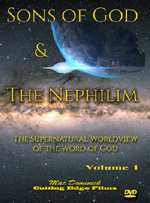 Further, as Christian author, David Lewis states in his book, UFO: End Time Delusion , "Without exception, every person claiming an [Alien] contact...had one thing in common. Each had a prior connection to metaphysical activity or cults. Some had been in devil worship, witchcraft, psychic phenomena, New Age, channeling...Those involved in direct contact with UFO aliens already had a connection to the dark side of the supernatural world." Thus, people today who have given themselves over to Satanic activities in some degree are the ones who are being used to deceive people further into believing in UFO's and aliens. Then, Lewis adds this comforting statement, "..no Christian..has ever had a direct encounter with an alleged E.T." (p. 15-16). Thus, God is already protecting His Elect from this Satanic deception. Praise His Holy Name!! Convince people that the only reality which can be accepted is that which can be observed through our five senses. Do not be deceived. As Cooper stated, in his book, Behold A Pale Horse, p. 177, "[New World Order Planners] have plans to bring about things like earthquakes, war, the Messiah, an extraterrestrial landing, and economic collapse. They might bring about all of these things just to make sure it does work...The Illuminati has all the bases covered..." The demons of Satan's army will soon physically manifest themselves as Aliens, arriving in armadas of space ships which we have heretofore called UFO's. The plan calls for them to suddenly appear at many places on Earth simultaneously. Some will appear at the White House to confer with the President; some will appear at the United Nations; other aliens will appear at key governmental buildings all over the globe. Aliens will appear in some people's homes or on their front yards. The world's peoples will literally be shocked out of their minds. This is the Plan. This may occur before the worldwide Rapture of the Church; we must be prepared to deal wisely with this planned phenomenon. What will be the reaction of the vast majority of the peoples of the world? They will be absolutely astounded beyond words or imagination. Since their minds have already rejected the concept of the physical existence of demons, and have been conditioned to accept as reality anything which they can observe through their physical senses, they will accept these Aliens and their incredible claims. Alien conditioning through books, magazines, TV, movies, and even the trash magazines of the Enquirer variety, will have taken hold. People will believe and allow themselves to be lead away into spiritual error. They will accept the claims of Maitreya the Christ, the Anti-Christ, and will be doomed forever. Those who have given themselves over to the occultic practice of meditation whereby they have communed with their 'guiding spirits' will be predisposed to believe. Likewise, people who have given themselves over to occultic hypnosis, during which they have been preprogrammed to believe, will be deceived. People who have filled their minds with Science-fiction novels will be predisposed to believe. And all mankind will believe because they are without the Truth of Jesus Christ. Upon all such peoples, the deception will fall, to permanently set their fallacy. Biblical prophecy will have been fulfilled. The Anti-Christ will deceive the entire unsaved population of the world. He will proceed to confirm the peace treaty with Israel and the Great Tribulation will begin. Do not be deceived. The hour is late, indeed. Are you spiritually ready? Is your family? Are you adequately protecting your loved ones? This is the reason for this ministry, to enable you to first understand the peril facing you, and then help you develop strategies to warn and protect your loved ones. Once you have been thoroughly trained, you can also use your knowledge as a means to open the door of discussion with an unsaved person. I have been able to use this knowledge many times, and have seen people come to Jesus Christ as a result. These perilous times are also a time when we can reach many souls for Jesus Christ, making an eternal difference. (1)Johanna Michaelsen "Like A Lamb To The Slaughter," p. 12-13.